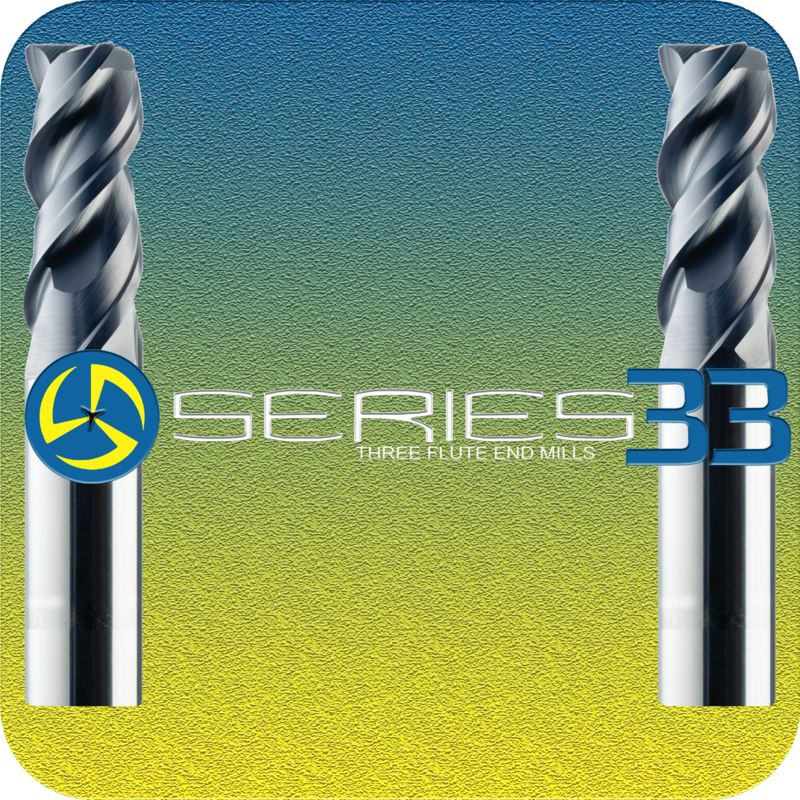 Series 33 end mills use the latest in engineering design and grinding capabilities. They are ideal for aggressive ramping, pocketing, and slotting in difficult to machine materials such as Stainless Steel, Titanium, and Inconel. Designed for applications challenged by heavy chip evacuation, this 3-flute design offers increased chip clearance and a reduction in harmful harmonics. Proprietary 3-flute design allows for more controlled chip formation and efficient chip evacuation. Specially engineered stepped core design provides stability for aggressive ramping and rigidity when flutes are completely engaged. Open design at the axial end accommodates material flow and load reduction during operations. Available with KSPT Patented Jet Stream technology for precise coolant placement, and Ti-NAMITE-A coating which prevents edge build-up while ensuring superior wear and enhanced tool life.